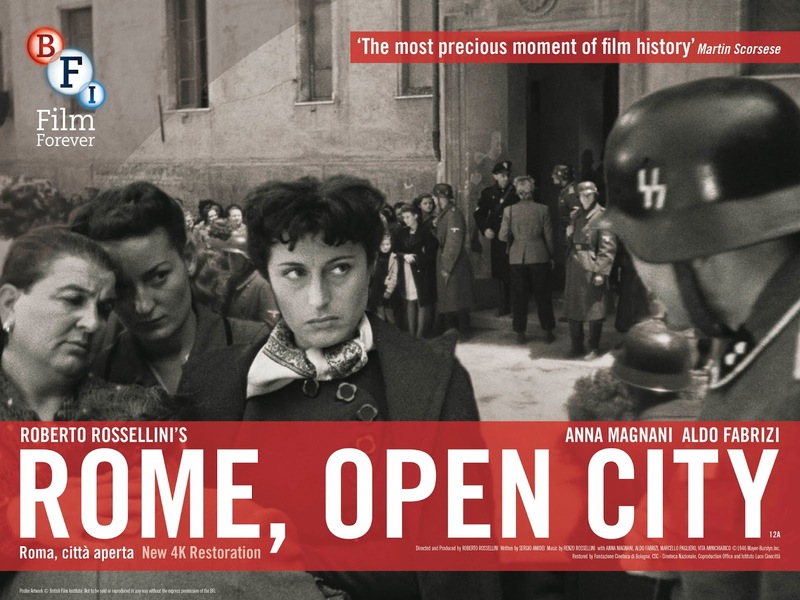 Movie Ramble: Roma, citta aperta (Open City). Roma, citta aperta (Open City). Roberto Rossellini is credited with being one of the founding fathers of the Italian neorealist cinema movement along side directors like Luchino Visconti who went on to direct one of the UK’s best actors, Dirk Bogarde at a crucial period in the actors career namely The Damned in1969 and Death in Venice in 1971. 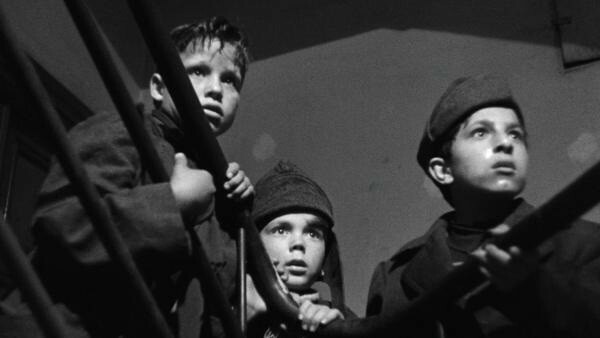 But it was Rossellini who first made an impact outside of Italy with his acclaimed war trilogy, which was ‘a series of films tracing the progression of the Allied forces from Rome to Berlin and chronicling the impact of the devastation of World War 2’, the first of which was Roma, citta aperta (1945). The following two films, Paisa (1946) and Germania anno zero (1948) never quite reached the international prominence that this first film did. Made just months after the war it ticked all the boxes that made this film a classic neorealist masterpiece, which included using stories set amongst the poor and working class, the bulk of the filming done on location and the use of non professional actors plus the utilisation of available light and any film stock that was obtainable at the end of WW2 giving the whole project a documentary feel. Almost a template for the films of Britain’s best filmmaker Ken Loach? 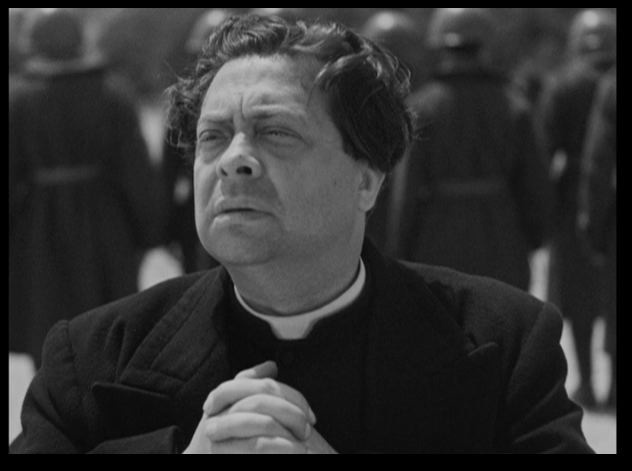 Rossellini originally had planned to make two documentaries, one about Rome’s young children who had fought bravely against the German occupiers and the other about Don Pieto Morosini a Catholic priest who was shot by the Germans for helping the resistance. 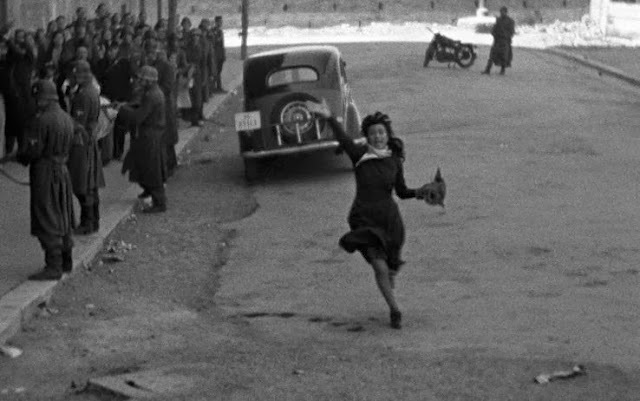 But because of the lack of finance and film stock it was decided to make one feature film incorporating both stories and also including the true story of Teresa Gullace who was killed by the Germans in front of their barracks after running after the truck that was abducting her fiancé - a suspected member of the resistance. There is no doubt that this movie is a superb example of the genre, telling the story of a group of resistance fighters who were attempting to keep out of the clutches of their Nazi oppressors. It stars Anna Magnani, who became one of Italy’s best-known actresses and one you will no doubt remember from Pasolini’s Mamma Roma (1962), and actor and director Aldo Fabrizi who appears as the priest. It’s a very powerful movie and succeeds as a valid description of the society and history of that time. 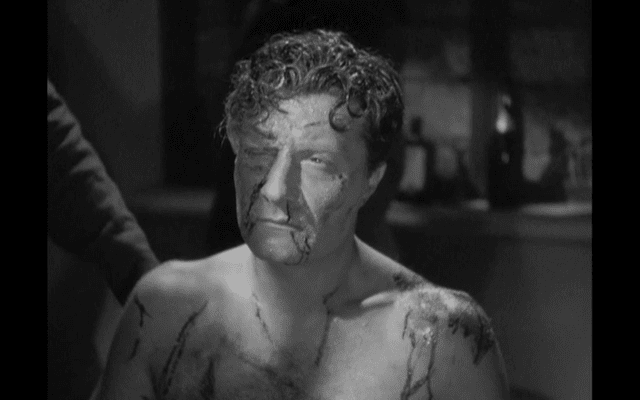 The most famous image from this wonderful film.